In this article, i’ll show you how you can use your PhilHealth and the benefits of it as a member. Members covered are all eligible PhilHealth members whether your employed, individually paying (voluntary), lifetime member program, sponsored program, and overseas worker program. Below are the list of requirements needed and the corresponding amount for the specific cases you avail. a. The member must have at least three (3) months’ premium contributions within the immediate six (6) months before the month of availment. The case rate amount shall be deducted by the HCI from the member’s total bill, which shall include professional fees of attending physicians, prior to discharge. The case rate amount is inclusive of hospital charges and professional fees of attending physician. Availment condition: Member must have at least three (3) months’ premium contributions within the immediate six (6) months prior to the month of availment. Aside from the benefits to the diseases mentioned above, PhilHealth extends its help furthermore. 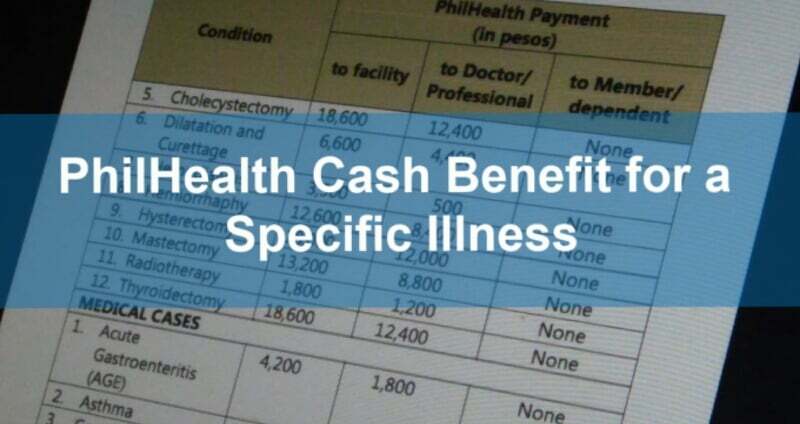 The Z Benefit Package is a program of PhilHealth to its members to address health conditions that trigger expensive treatments. In addition to that, it also aids illnesses and diseases that promote prolonged hospitalization.